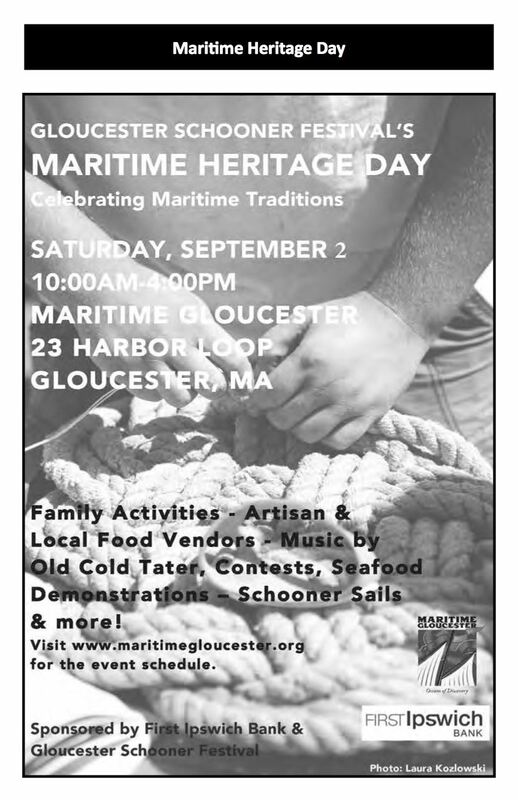 It was a lovely sunny day for the Schooner Festival's Maritime Heritage Day Festival on Harbor Loop in downtown Gloucester. 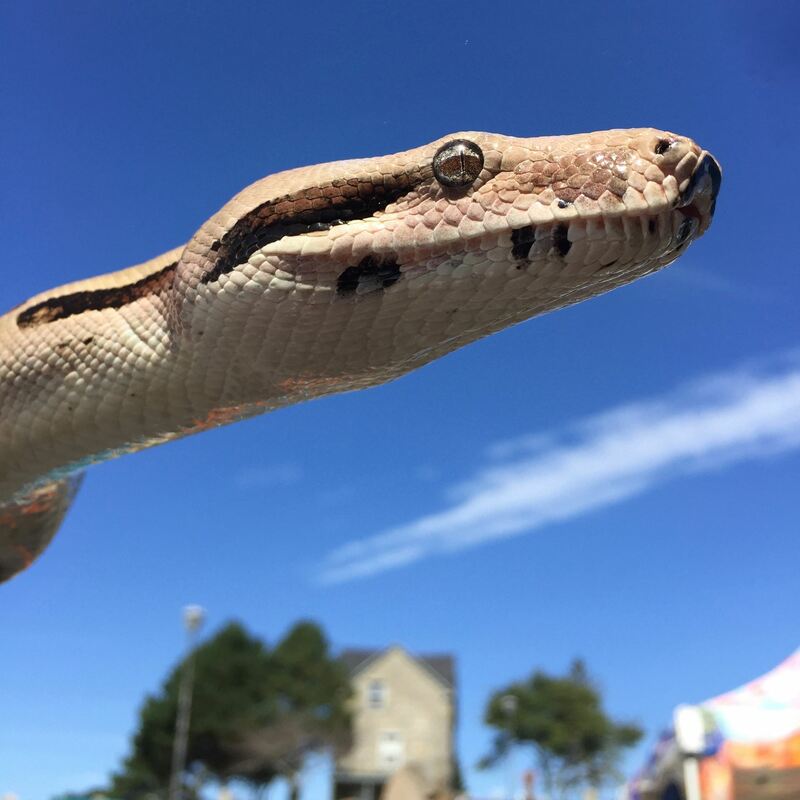 We featured our Snakes of New England and the World Exhibit to a whole bunch of interested and excited people. Our outdoor booth down on the Loop was a hit. 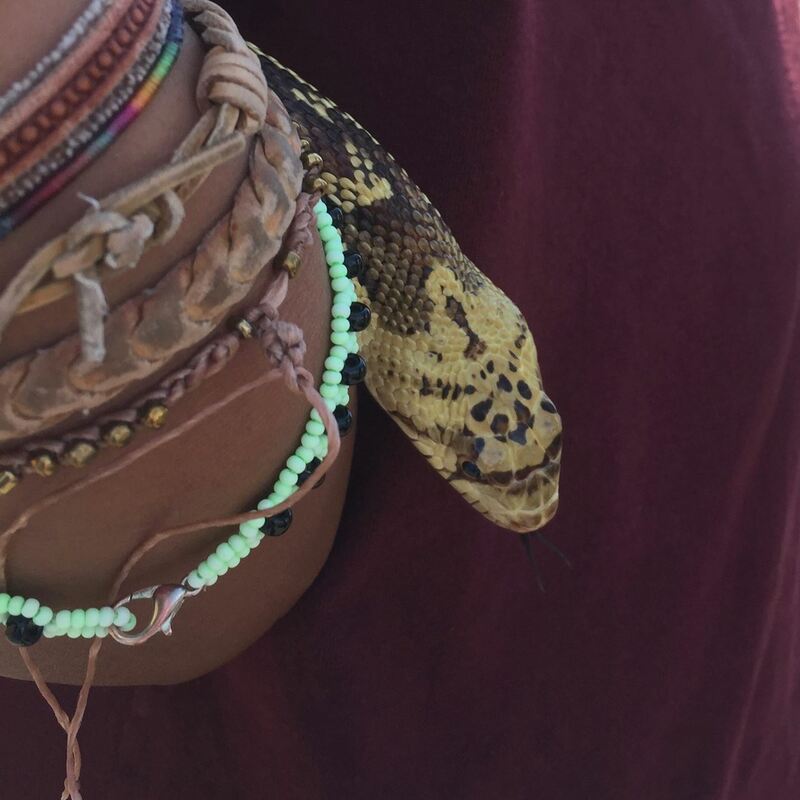 We spent our day out in the crowd mingling, with the snakes slung around us, for people to see and hold. Our steadfast volunteers came through once again including Marisa Neves, Ann Byers, Marion Healey, Jay Healey, Dylan Piscitella, Kayla Saltonstall, Victoria Rolf, Anna DiPerna, Keith Bertone, and Rick. Once again we had an enjoyable day educating our visitors about our vernal pond world and how to appreciate and hold our snakes. I really can't say enough about all the people who come together and make these events such a great success. 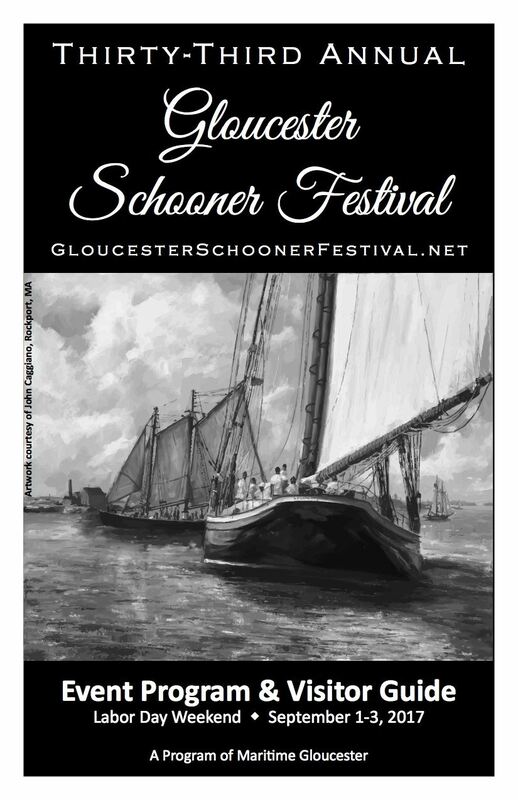 The 33rd annual Gloucester Schooner Festival celebrates the history and the future of the maritime arts in New England. Our hosts created a busy, festive hub of activities including traditional crafters, community organizations in the First Ipswich Bank Pavilion, expert seafood demonstrations, foot stomping music with Old Cold Tater, impossible magic, schooner sails, and fun-filled family activities on Harbor Loop. We enjoyed local fare at the food tents and beautiful schooners were docked at Maritime Gloucester's Webster Pier along with others throughout the city. The Navy League Cadet Corps (NLCC) is for boys and girls, at least 10 but not yet 14 years old, who are interested in the sea and ships, and our nation’s seagoing services. The Navy League program is designed to introduce young people to maritime and military life, and to prepare them for later entrance into the Naval Sea Cadet Corps. We have a great Division here out of Gloucester. This sweet family had such a great time and we had just as much fun with them. 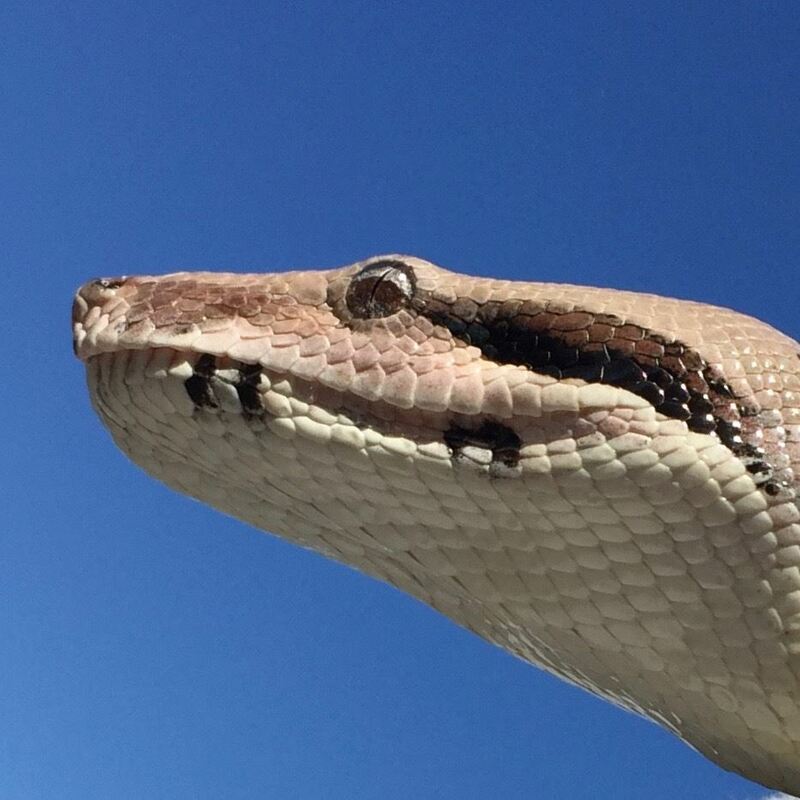 They held every snake and stayed at our exhibit for the better part of this glorious afternoon. Skeletor our White-lipped python fell in love with the girl... or visa-versa. Staff Writer extraordinaire for Gloucester Daily Times got up close and personal with Snickers. 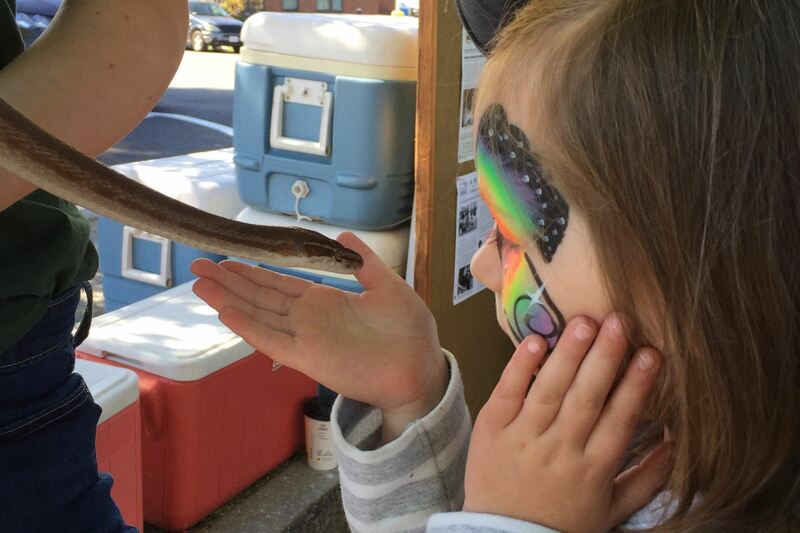 Plus she wrote a nice front page piece for Maritime Heritage Day featuring a really cool photograph (by Desi Smith) of a girl holding one of our snakes. We'll post it under News... Publications on our website as soon as we can.